Fans of the Die Hard franchise learned in Live Free or Die Hard in 2007 that Holly Gennaro McLane died of breast cancer sometime after the third movie, leaving the indestructible John McLane (Bruce Willis) a widower single father of a now grown daughter, Lucy, and son, John Jr.
John Jr., “Jack” (Jai Courtney) is in trouble in Russia. He murdered a Russian mafia boss apparently at the behest of a political prisoner, Yuri Komarov (Sebastian Koch). Jack is arrested and John flies to Moscow to help and support his ostensibly wayward son. However, it turns out that Jack is CIA on a mission, which John unknowingly blows. The CIA's interest in Komarov relates to vital information contained in a file about a high ranking Russian official. In terms of action, A Good Day to Die Hard doesn’t disappoint. Shortly after John arrives in Russia, there’s an awesome explosion followed by a great three-car (truck) chase scene through traffic congested Moscow streets. Other than the occasional interruption of unexceptional dialogue, mostly relating to John’s less-than-stellar parenting as Jack grew up, the action sequences, replete with helicopters and large caliber fire arms, are essentially non-stop. Missing in A Good Day to Die Hard, however, is the amusing banter between John and his sidekick, who in this case, was Jack. In the original, John had Sgt. Al Powell (Reginal Veljohnson) and in Die Hard 2: Die Harder, Capt. Carmine DeLorenzo (Dennis Franz) was the bumbling cop straight man. Also missing in the latest effort is a really great bad guy like Hans Gruber (Alan Rickman). Even the obnoxious, attention seeking television reporter Richard Thornberg (William Atherton) served as part of the plucky comic relief in the first two Die Hard films and helped make John McLane a more complex, likeable character. To avoid spoiling, neither Jack nor the bad guy, whoever he, she, or they may be, just don’t measure up. Still, John McLane still has a couple of good one-liners and, yes, there is one “Yippee ki-yay,” well, you know the rest. On the other hand, I think John McLane must have said, "I'm on vacation," at least five times; not once did the line garner a laugh. 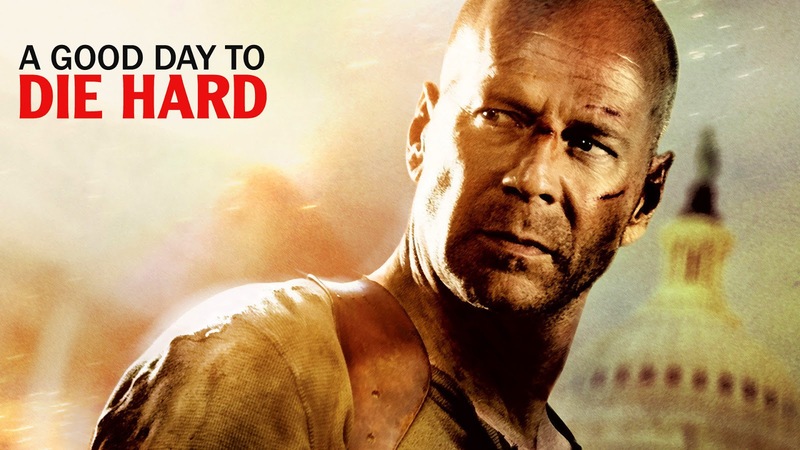 In all, A Good Day to Die Hard is a poorly written and, other than the somewhat redemptive explosions and chases, is the weakest among the previous four installments replacing Die Hard With a Vengeance. Still, if a guy is a fan of Die Hard and John McLane, you pretty much have to see it. If you have a son who’s old enough to filter the strong language and violence, bring him along, too.